He was born on December 6, 1958 in Preston, England. He is an animator, comics writer, film producer, screenwriter and director of British photography, winner of four Academy Awards and creator of the characters of Wallace and Gromit. Even as a child, the young Nick showed interest in drawing and cartoon. In the scholastic period he passed from the Sheffield Hallam University, where he studied communication, to the National Film and Television School. 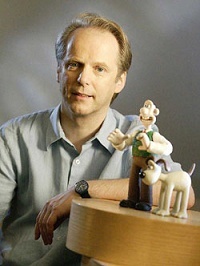 But the turning point came in 1985, when he was hired by Aardman Animations, an animation studio specializing in stop-motion (step one) based in Bristol, where he worked as an animator and producer. The first Oscar winner arrives in 1989 for Creature Comforts to which is added that in 1993 for Wallace & Gromit in The Wrong Trousers and the one in 1995 for Wallace and Gromit in A Close Shave, however all in the animated short films section. The first for the animated feature section comes in 2005 with Wallace & Gromit and The Curse of the Were-Rabbit.